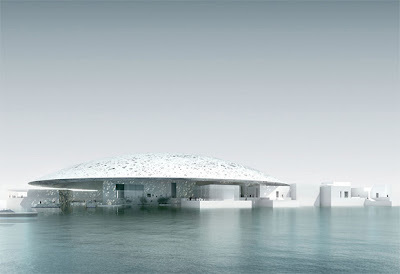 A ceremony attended by French President Nicolas Sarkozy and the Crown Prince of Abu Dhabi, General Sheikh Mohammed bin Zayed Al Nahyan marked the start of construction at May, 26 at the site of the Louvre Abu Dhabi, the first universal museum to be built in the capital city. 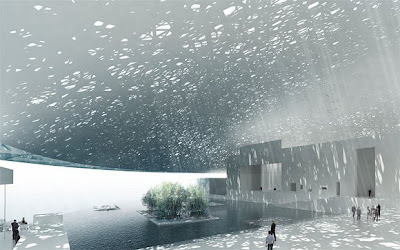 In recognition of the importance of the event, the two world leaders accepted a time capsule for the museum from children of both the UAE and France. 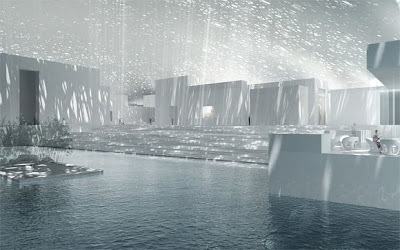 The Louvre Abu Dhabi is sited at Saadiyat Island’s new Cultural District, developed as the world’s largest single concentration of premier cultural institutions. 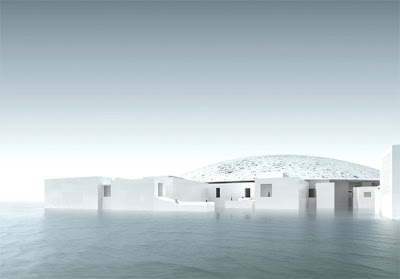 Designed by French architect Jean Nouvel, the Louvre Abu Dhabi will be a 24,000 sq m complex of pavilions, plazas, alleyways and canals ‘evoking the image of a city floating on the sea’. 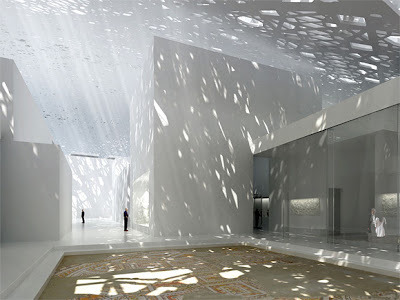 Hovering over the complex will be a form inspired by traditional Arabic architecture: a vast, shallow, perforated dome—some 180 metres in diameter. A presentation of Nouvel’s design, an illustrated talk and a guided tour of selected artworks to be displayed will be presented through 2 July in Gallery One of Emirates Palace. The building is set for completion in 2012/13.